clue what to expect. Sideline Prep is amazing! I made the team on my very first try! Yaaayy! To this day, even though we don’t see each other as often, our friendship still holds strong. I spent 5 days with these gems and did not want to leave them, did not want to say goodbye, and did not want to return to reality. Why is that? 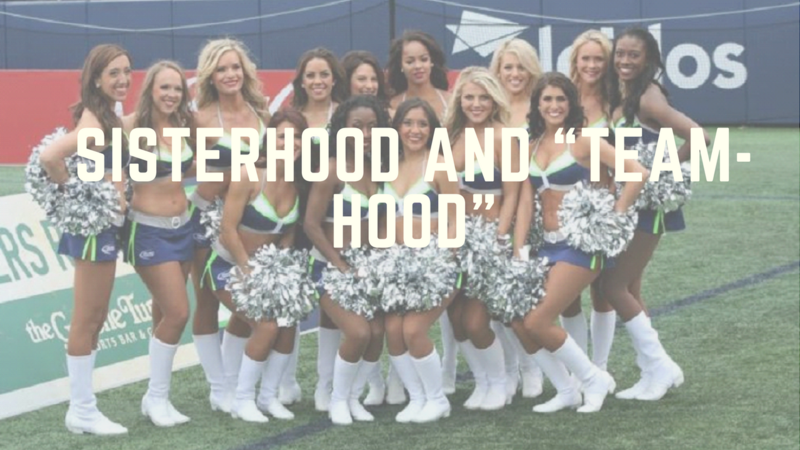 Sisterhood and “team-hood” creates a bond that is hard to understand and almost impossible to duplicate. Through sports, dance, sorority meetings, and other team activities, us ladies tend to create an alliance that stands the test of time. Do you have any girlfriends like this in your life? If so, you’re lucky. Hold on to those friendships and be sure to tell them you appreciate them! Some of my closest girlfriends to this day were introduced to me through college cheering and NFL/NBA dancing. I’m a Godmother to 6 amazing children, I’ve been a bridesmaid in 3 weddings, and have thrown countless bridal and baby showers… all in the name of sisterhood. Being on a dance team is far more than just shaking pom poms! It gives us the opportunity to live, love and laugh next to some of the highest quality and talented ladies EVER!! Don’t take it for granted… and don’t give up on your dream of being a pro or semi-pro cheerleader. These will be some of the best days of your life!! Today’s featured article is written by guest writers and supporters of Sideline Prep. You will hear from two former dance teammates, Larissa and Jennifer, who are now Co-Directors of the Bay Area Shuckers Dance Team. They met in the cheer world and are now helping others live their dream of dancing at the semi pro level. Happy reading! P.S. – I also wanted to Congratulate and Thank Shay Ferris, who is the former Director of the Bay Area Shuckers Dance Team. 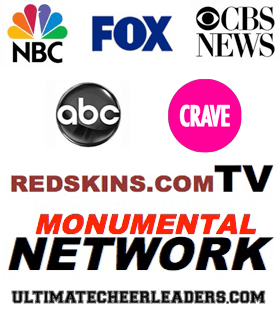 She stepped down as Director because she is now a ROOKIE for the Washington Redskins Cheerleaders… oh – and did I mention that she is a Sideline Prep Client? Congrats Shay! Sending love and hugs your way! I firmly believe that the more experience you have in the dance world, the better. My name is Jennifer and I’m a former member of Football’s Fabulous Females, The Oakland Raiderettes. Over three seasons cheering on the Silver and Black, I was Rookie of the Year, Dancer of the Year, a second-year Captain, and traveled overseas to Austria and Japan. How did I get my start in the world of cheerleading? The semi-pros! That’s right, you’re looking at a former member of the GBL San Diego Surf Dawgs Dance Team, the ABA San Diego Wildcats Dance Team and the NIFL San Diego Shockwave Lady Shakers. Dancing for the semi-pros helped me land a spot as a professional cheerleader, and it could be a great starting point for you, too! 1. Learn the style of dance that professional teams are looking for. Semi-pro dance teams are a great way to practice your technique and pick up the skills you’ll need to excel at your next audition. Practices will not only get you ready for the next game, but they will also get you ready for your next Pro audition! 2. Benefit from learning from directors / guest choreographers who use to cheer for the Pros. Some semi pro dance teams are led by former Pro cheerleaders/dancers. So, in addition to learning professional-grade choreography from current and/or former pro cheer cheerleaders, directors and choreographers, you’ll also get insider tips on how to make it onto a Pro squad and become part of a larger network of dancers. 3. Gain experience cheering on the sidelines during a live game. Learn the ins-and-outs of cheering during a sporting event while getting plenty of opportunities to dance in front of a crowd and interact with fans. This will not only make you more comfortable in front of large audiences but also more comfortable performing “full out” in front of the judges on audition day! 5. Build confidence and experience. The old adage “practice makes perfect” is true in this field. Being on a semi-pro team will bolster your confidence and abilities—and just might help you land your next pro audition. There’s another bonus: You’ll also meet lifelong friends! 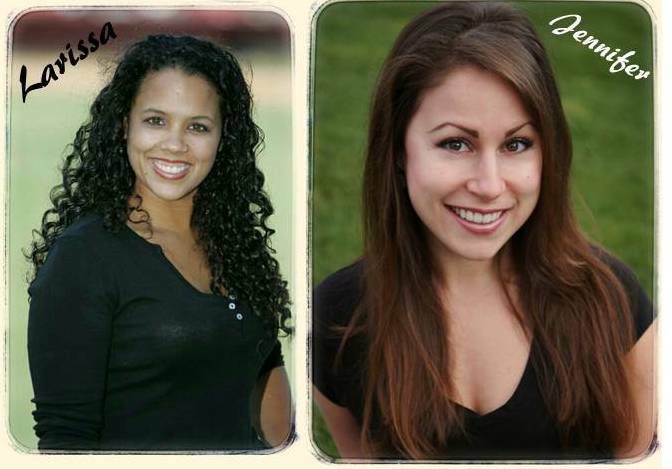 My former GBL teammate Larissa and I are now Co-Directors of the Bay Area Shuckers Dance Team. The Bay Area Shuckers are a professional basketball team within the American Professional Basketball League (APBL). We’d like to invite you to attend our dance team auditions on Saturday, September 6th at Leadership Through Athletics. Visit http://bayareashuckersbasketball.com/dance-team.html for more information. Grab Your FREE VIDEO TRAINING Now! Thanks so much! Yes... please bookmark our website :)January 23, 2018 - 1:04 am by GeNienne S.
Thanks so much for your comment. We appreciate your sup...January 23, 2018 - 1:03 am by GeNienne S.
© 2010-2017 Sideline Prep, LLC. All Rights Reserved.